1. Restoration of normal flora= happy gut and strong immune system. Have you or your child taken antibiotics recently? If so, your good bugs have been wiped out along with the bad ones. Normal flora (good bugs) are essential for warding off diseases and promoting optimum health. Allergies, food intolerances, constipation, irritable bowel syndrome, and skin conditions are all inked to a lack of good normal flora. Enzymes are essential for breaking down your food and properly absorbing the nutrients. Aging and a poor diet decrease your gut’s enzymes. But eating fermented foods can replace some of them. 3. Rich in essential nutrients. Fermented foods are delicious! They have a unique, rich flavor! Fermentation is a natural preservation process that retains nutrients and prevents spoilage. 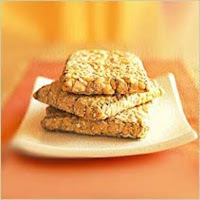 Tempeh (fermented soy- see below for my favorite recipe). Try to eat one fermented food per day. 1. Place the block of tempeh in a pot of water. Boil for 5-10 minutes (until soft). 2. Drain the water. Crumble the tempeh with a fork and put into a bowl.